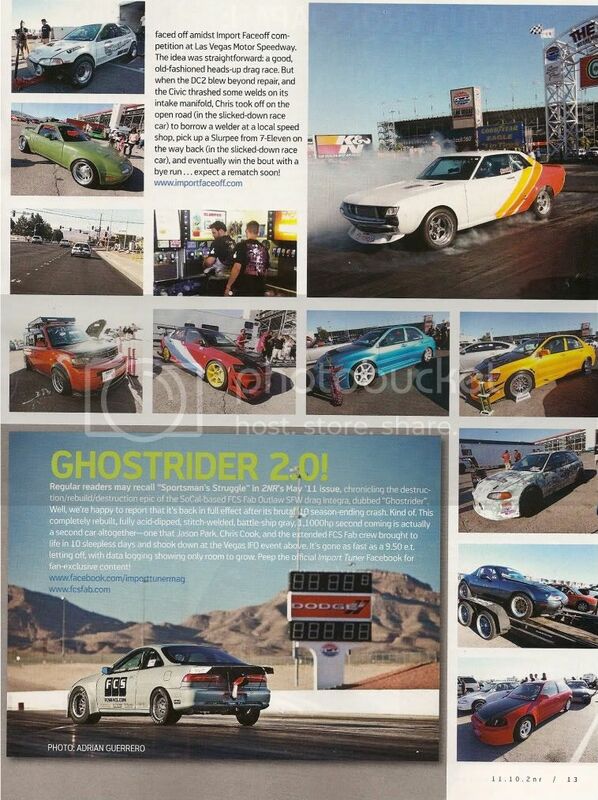 In Import Tuner October 2011 issue, pg. 013, there is an article about Import Faceoff, LV. Congratulations to LV Chapter Cars for being selected in the event coverage pictures. Out of the 12 pictures on pg. 013, 3 of them are of Team Hybrid cars which belong to Robert (xB), Essex (Teal EVO IX) and Keoni (Sunset Orange EVO IX). A total of 10 trophies.."